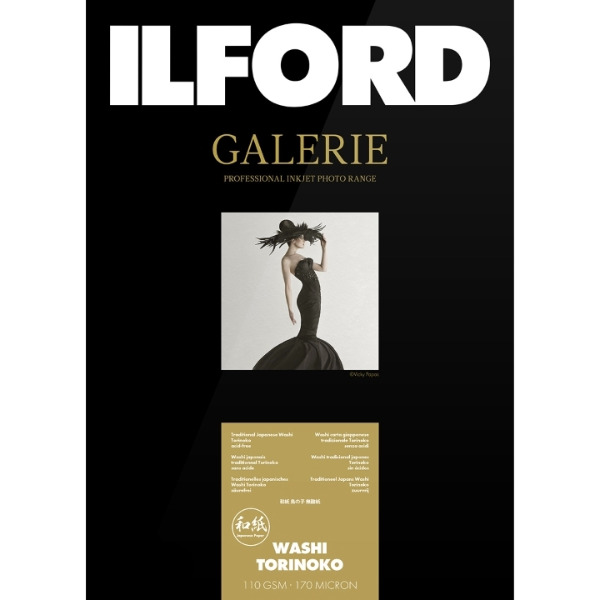 ILFORD GALERIE Washi Torinoko is a fine art paper with a traditional, Washi, Japanese base and a fine textured surface. The base, exclusively produced for ILFORD, is manufactured using a traditional Japanese Tanmo machine which produces a paper so refined it looks like it has been handmade. The Washi base is made in the Echizen area of Japan, which is famous for the production of traditional Japanese paper with a history spanning over 1500 years in paper production. GALERIE Washi Torinoko has the unique ILFORD inkjet coating that gives the final print a wide colour gamut and excellent colour consistency. The paper has a fine textured surface, is acid free with no optical brighteners and so is suitable for fine art reproduction.